Update: Click here to follow up on the video of the UXprobe and VRT joint presentation at Creative Circle V! Late last year, UXprobe got in contact with VRT (the flemish public broadcasting corporation), who wanted to rebrand their news website & launch a new mobile app. Out of several UX tools, VRT was convinced that the UXprobe platform could be a perfect match to validate the VRT NWS beta (a redesign of deredactie.be) with a large group of real users. With a large project such as the renewal of the website of VRT NWS, there are several aspects that need to be tested. Usability is one of the key dimensions that need to be addressed. But with around 300.000 unique visits per day and such a broad audience, traditional UX testing becomes difficult at this scale: how is it possible to collect enough qualitative user feedback that can be analyzed and communicated easily with stakeholders? This is where UXprobe comes in the picture. We provided VRT NWS with an easy to use tool to manage use cases and survey questions, but which also captures videos of the users in the browser. Using UXprobe, VRT NWS saved a lot of time and is able to use the video material to stir up the conversation. In the end, it is all about about validated learning and tools like UXprobe can be a worthy addition in the UX toolkit of VRT NWS. VRT SANDBOX supports collaborative innovation, integrated in the media ecosystem of a public broadcaster. The VRT Sandbox innovation is based on facilitating short term projects within the VRT ecosystem. Through VRT Sandbox, this cooperation was a win-win situation for both partners. During short periods of time, selected partners receive the opportunity to scale their products with access to VRT’s infrastructure and technological resources. 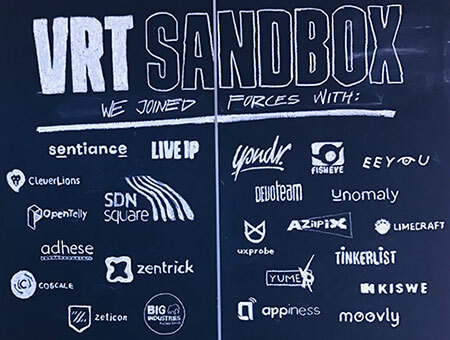 VRT & UXprobe will hold a joint presentation on Thursday, June 8 2017 at Creative Circle V, together with other VRT Sandbox partners. This presentation will explain the UXprobe platform and the results from the VRT NWS beta test. Learn more about this event here. 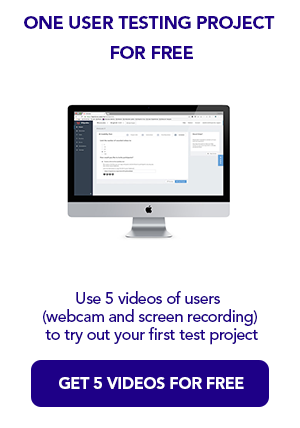 Stay tuned for our next blog post, where we will elaborate on the user testing results from this project!